When choosing a dentist for you or your family, there’s a lot to consider. You want a dentist who is friendly and professional, who earns your trust. 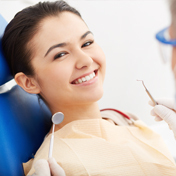 You want to feel both comfortable and confident asking your dentist questions. You want your family’s dental care to be affordable. And, most importantly, you want a dentist who really listens, understands, and respects your goals and your concerns. Welcome to Waterloo Dental Associates. We’re so glad you’ve found us! 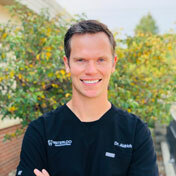 Waterloo, Iowa, dentist Dr. Christopher Aldrich has skill and experience treating patients of all ages and believes in treating every patient the way you want to be treated. We recognize that every patient comes to us with unique needs and goals, and we make every effort to get to know you so that we can address those. Dental care works best when everyone is on the same team. Our practice functions as a team, with Dr. Aldrich in the role of team captain. Every time you visit our office, you’ll see Dr. Aldrich, so you don’t have to worry about constantly getting to know someone new. Each of our associates, from our skilled and gentle hygienists to our helpful and caring assistants to our friendly and knowledgeable front desk staff, plays a part in making every visit comfortable and enjoyable. We know that visiting the dental office is rarely at the top of anyone’s list of fun things to do, but we’re hoping that maybe we can change that! As a patient at Waterloo Dental Associates, you are also a part of your dental care team! We’ll give you the information you need to make informed choices about your oral health, and we’ll also give you the advice and tools you need to practice a good home care routine. At each cleaning and exam, we’ll review your home care routine to make sure you’re always getting the most from it. If you have questions, let us know! We’re happy to answer your questions and help you become an informed participant in your health care. 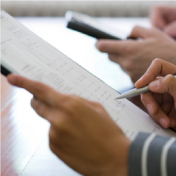 We provide a number of services for our patients to help simplify your life and preserve continuity of care. Most services can be provided at our office without the need for referral (although we do refer patients to trusted specialists when the need arises). 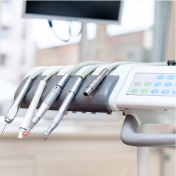 Whether you are looking for routine preventive cleanings and exams, cosmetic treatments to improve the aesthetics of your smile, or restorative treatments to improve your health and function, we offer it all, including expanded services such as dental implant placement and restoration, root canal therapy, and wisdom tooth extraction. Whether you’ve been a valued patient for years or you’re looking for a new dental home for your family, we’re looking forward to seeing you! 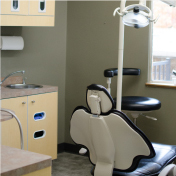 Call our Waterloo dental office today to schedule your appointment!